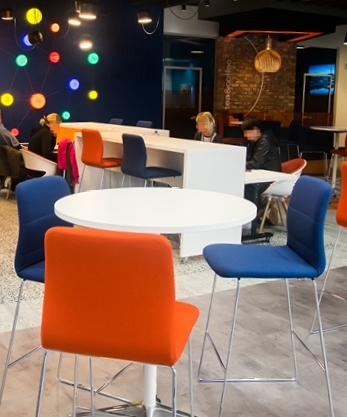 Located in Block 1, Workbench is a unique concept which connects entrepreneurs, Branch, and community by offering free dedicated space for co-working, seminars, clinics and events to encourage innovation and new ideas. 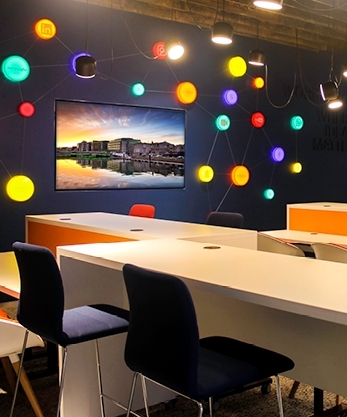 Offering free work spaces, meeting rooms, conference areas and event space to all, we actively support the different needs of the local community and this thriving business area. The Workbench area offers start-ups a unique space to co-work from, with state-of-the-art facilities including hot desks, and complimentary Wi-Fi. In the workbench space, you have a support structure that enables you to develop and grow your idea whilst being able to learn from others and build your network. The Events area, Meeting rooms and Project room are available to all – perfect for hosting events and meetings whether it’s a business seminar, showcasing your business, a brainstorming workshop, or a team building or community event for local clubs and charities. We can use this unique space to fit you needs and requirements. 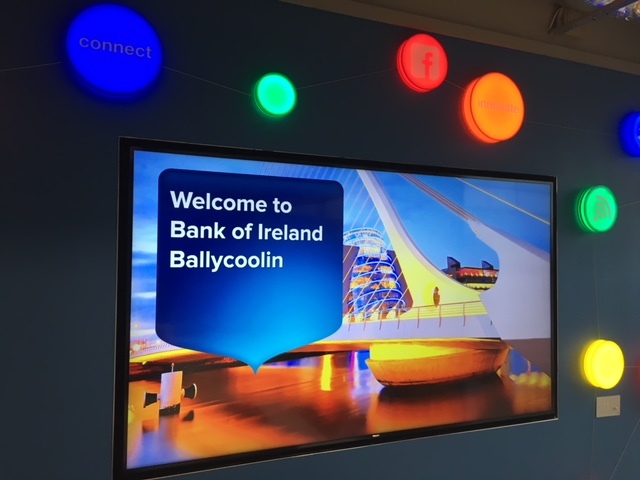 Bank of Ireland will be running regular workshops and events for business and non- business interests, so keep a check on their calendar to see what’s on over the coming months. This branch is a self-service banking branch. There is no cashier service available.